Manuel (Manny) A. Mencia is Senior Vice President of the International Trade and Development (IDT) unit of Enterprise Florida, Inc. Enterprise Florida, Inc (EFI) is a not-for-profit government business partnership established to guide the development of Florida’s economy. The ITD unit is headquartered in Miami and maintains offices in six Florida cities, as well as 14 countries around the world. In 2000, Export Magazine and the Council for Urban Economic Development (CUED) conferred their Gold Award to EFI’s Division of International Trade, as the best state-wide export development organization in the country. In 2001, EFI received the prestigious Presidential E Award for Export Development in its first year of eligibility. In 2009, EFI’s ITD unit received the President’s E Star Award for Export Promotion Excellence, the highest trade development honor in the US. Mr Mencia joined Enterprise Florida in 1996. Prior to that, he served as Vice President of World Marketing at The Miami Dade Beacon Council, between 1992 and 1996. 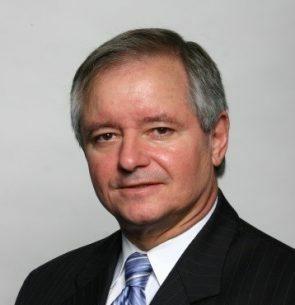 He has acquired extensive international trade expertise, having served in various executive positions at the Florida Department of Commerce between 1977 and 1991. Mr Mencia is a member of the Board of Directors of SIDO (State International Development Organizations), the national organization of state trade development agencies and served as its President during 2010-2012 and 2016-2017. He also chairs the Florida International Trade Partnership (FITP) and serves on the board of the Florida Export Finance Corporation, World Trade Center-Miami, University of Miami’s CIBER Center and the Florida District Export Council. In 1990, the US Hispanic Chamber of Commerce selected Mr Mencia as Government Hispanic Business Advocate of the Year. In 2003, the International Business Council of South Florida named him International Businessman of the Year, and in 2010 he was awarded the International Achievement Award, Florida’s most prestigious award for lifetime achievement in international business. Mr Mencia obtained a Bachelor of Science degree from Florida International University in Education and a Bachelor of Arts degree from St. Thomas University in Political Science. What makes Florida an ideal location, geographically and otherwise, for manufacturing and distributing pharmaceuticals?